A couple of severely fatigued pilots who had only five hours' sleep in each of the previous two nights both nodded off at the same time in the cockpit of a UK passenger plane, according to an official report. They were the only two people tasked with flying the aircraft, and are said to have not been given enough opportunity to sleep properly in the previous two days because they were on duty for too long. The case is perhaps an extreme example of why having travel insurance can cover passengers for the most unexpected of potential problems. UK pilots' organisation Balpa is currently opposing an EU plan to relax the rules governing the amount of time pilots should fly without a break. Details of the incident, which happened on August 13, appear in a Civil Aviation Authority report obtained by a news agency inquiring about examples of pilot fatigue. The authority does not identify the airline company or the destination of the flight. A statement from Balpa said: "In the UK we have a strict set of flight safety rules which govern how long and how often a pilot can fly before their performance is impaired. "The EU is proposing more permissive flight safety rules which would allow pilots to be flying aircraft whilst dangerously fatigued. "These rules were not developed using scientific data and could have a grave impact on the safety of UK aviation." 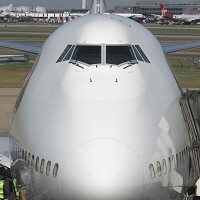 The EU proposal is "flawed in many areas" with pilots being legally allowed to land an aircraft having been awake for 22 hours; pilots operating longer-haul flights (such as west coast US) with only two crew rather than the current three and pilots possibly being forced to work up to seven early starts in a row, Balpa said. The Civil Aviation Authority report, entitled 'Flight crew suffering from symptoms of severe fatigue', said: "Reporter (almost certainly the captain) suggests both members of flight crew had only five hours sleep in two nights due to longer duty periods with insufficient opportunity to sleep. "Both crew rested for 20-minute rotations and fell asleep."